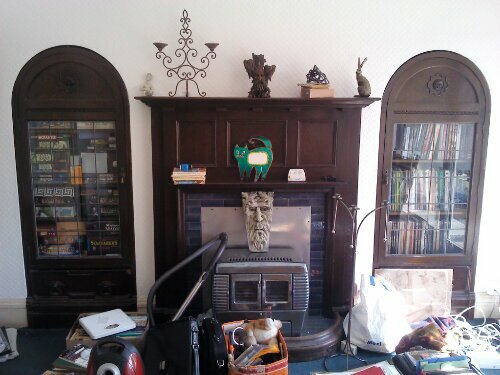 Here is a nice picture of the hall the day we moved in. Pretty messy, but you can see we’ve got some nice wooden cabinets built into the wall. …I wonder what we could put in those. I found another couple of boxes of games after these pictures were taken. 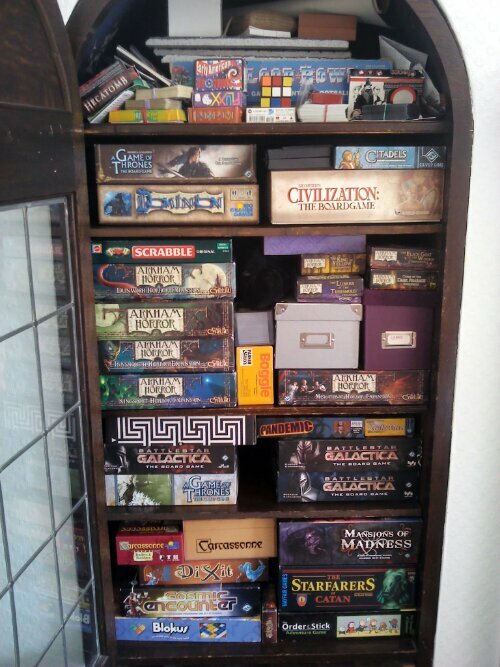 It’s safe to say that we’ve run out of game space in these cabinets now. I’m not sure what we’re going to do when we inevitably buy more. 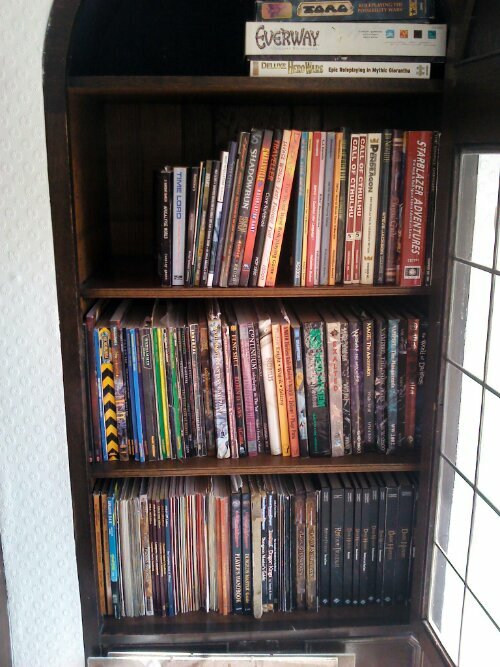 We have a whole shelf of D&D (spanning several editions), which we rarely touch now. But those are memorabilia. They must be preserved. Same goes for the White Wolf books. I guess we’re just going to have to get another cabinet.